Dubbed the world’s largest outdoor museum, the Ancient City is home to more than 100 replicas of Thailand’s iconic structures and monuments, such as the Grand Palace and the Stupa of Phra Maha That. You can spend an entire day wandering around the park, and still not run out of things to see. 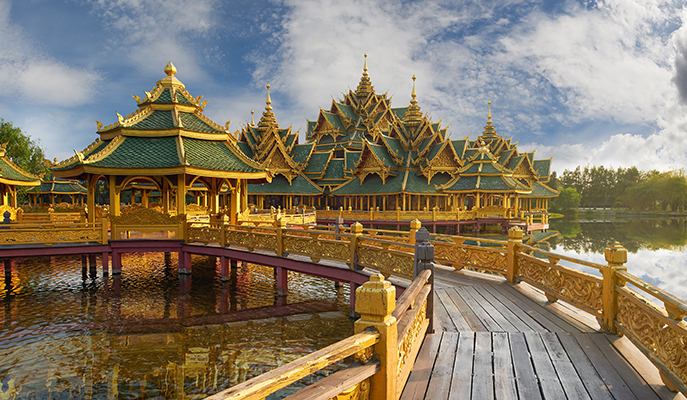 It’s a great way to discover more about Thai history, culture and architecture. How to get there: Take bus 511 from the Democracy Monument, the Grand Palace or the Emerald Buddha Temple to the end of the line. Then, take songthaew (pickup truck) 36 to the Ancient City. 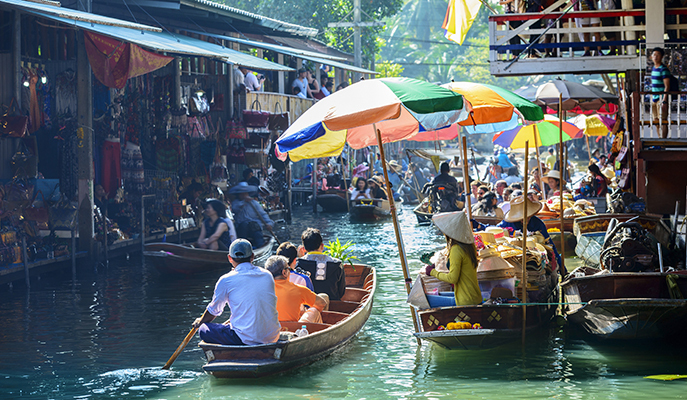 With fruit, vegetable and flower vendors all clad in traditional costumes and selling their wares from boats, this famous floating market is truly a sight to behold. Take a longtail boat ride to experience the flurry of activity from the water, or stay on shore to snack on tasty local treats. We’d recommend visiting in the early morning, when the market is at its busiest. How to get there: Board bus 78 from Bangkok’s Southern Bus Terminal, before taking a cab or motorbike taxi to the market. 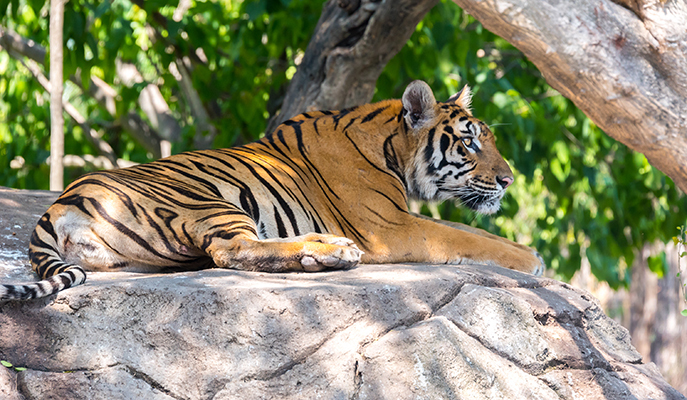 Located on the outskirts of Bangkok, this nature attraction encompasses 480 acres of open-space zoo, as well as a bird park and a marine park. Drive through open plains, where animals like zebras, antelopes and giraffes roam freely. Then, hop on the jungle river cruise, watch a hilarious orang utan boxing show, or try your hand at feeding the adorable sea lions. How to get there: Take the MRT to Chatuchak Park, before hailing a cab to Safari World from Exit 2. Alternatively, take the BTS to Mo Chit before getting a cab. This protected forest is one of the largest remaining landscapes of its kind. It’s home to 200-plus wild elephants and more than 400 other species, including Thai hornbills and lar gibbons. 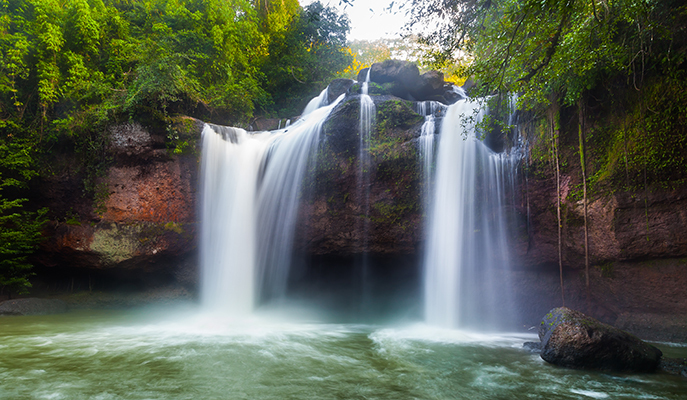 It’s also known for its majestic waterfalls, including Heaw Suwat Waterfall — which Leonardo DiCaprio jumped off in The Beach. The mountainous park sees cool temperatures all year round, so it’s an ideal destination during the summer months. How to get there: Take a bus from Bangkok’s Northern Bus Terminal or a minibus from Victory Monument Square to Pak Chong. From Pak Chong, take a bus or songthaew to Khao Yai. 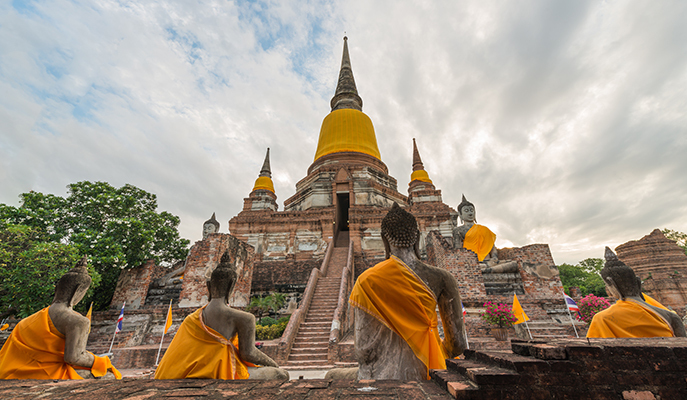 Ayutthaya reigned for 500 years as Thailand’s capital city before an invasion by Burmese forces. Fortunately for history lovers, its archaeological ruins — which bear both Thai and Khmer influences — have been well preserved, earning it its designation as a UNESCO World Heritage Site. A must-see here is Wat Phra Mahathat (Phra Nakhon Si Ayutthaya District), a temple featuring a majestic sandstone Buddha head entwined with the roots of a Bodhi tree. How to get there: You can choose to take a cab from the city, a bus from Bangkok’s Northern Bus Terminal, a minivan from Victory Monument Square, or a train from Hua Lamphong train station. With its expansive beaches, vineyards and golf courses, as well as a town center amply equipped with retail opportunities, Hua Hin offers a quiet and peaceful escape. Once a quiet fishing village, it’s now a fashionable resort popular with the country’s upper class. It’s home to the Thai Royal Family’s summer residences, too — namely the Klai Kangwon Palace and the Maruekatayawan Palace. 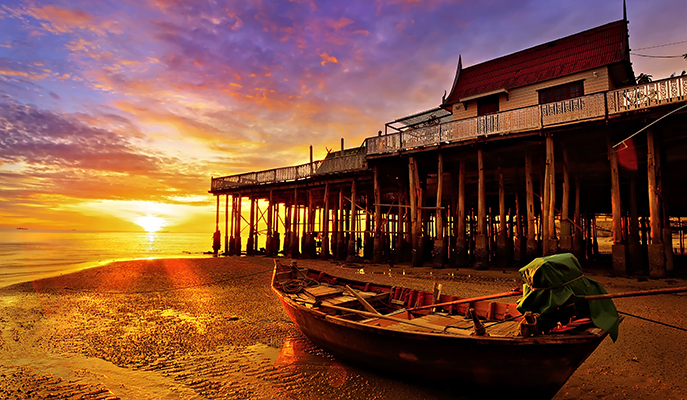 How to get there: Take the MRT from Hua Lamphong or Bang Sue directly to Hua Hin. Alternatively there’s a VIP coach from Suvarnabhumi airport to Hua Hin. Once occupied by Japanese forces, this provincial town is known for its key wartime role. 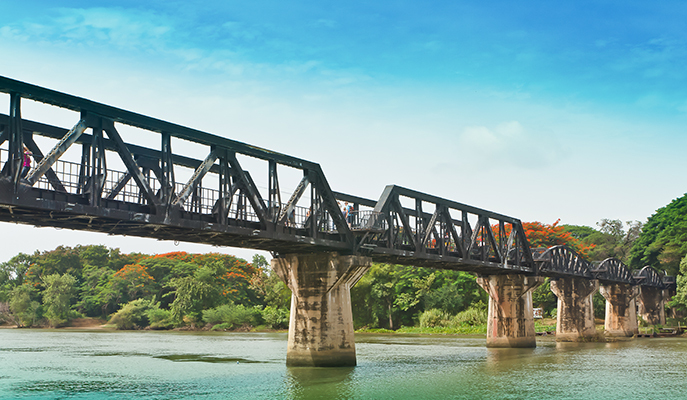 History buffs will enjoy visiting the Kanchanaburi War Cemetery and WWII Museum, before embarking on a train ride to the Bridge over the River Kwai, which is part of the infamous Death Railway — so named because thousands of Allied labourers died during its construction. 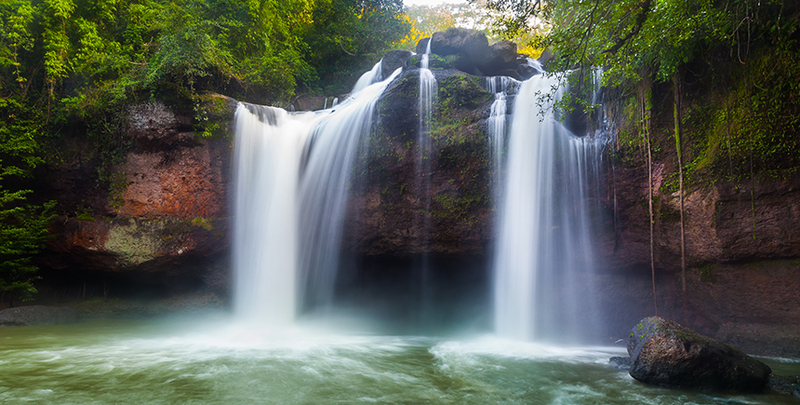 Nature lovers, on the other hand, can soak in the sights of untouched forests, caves, mountains and waterfalls, and take a boat ride on the scenic river. How to get there: From the Southern Bus Terminal (Sai Tai Taling Chan), hop on bus 81 to Kanchanaburi. Alternatively, catch a tourist minibus from Khao San Road.